The Cable Label Co Ltd is a UK based company who produce and sell their own award winning product- The ‘Cablebug’. (Manufactured and produced in the UK). 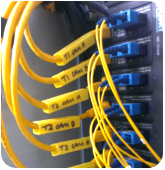 The Cablebug is a two step solution to your labelling needs. Simply clip on your wire/cable, then write on to the surface of the Cablebug. You can re use Cablebugs by putting a sticky label over the old writing. With a sleek and neat design, it clips fast and grips onto the charger or cable (without causing damage). Available in a range of colours and two different sizes- the Cablebug will solve all of your domestic or commercial labelling needs. The Cable Label Co has been selling worldwide to thousands of home users and professionals for many years now. 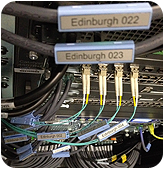 Customers include IT and network engineers, hospitals, schools, offices, banks, supermarkets, councils, families etc. 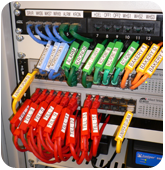 These people have all found the Cablebug labelling system helpful in organizing their cable chaos.